As India is gradually transforming into Digital India, business owners look forward to coming online with their company website. Building a website tends to become a complicated issue when one is not techno savvy. 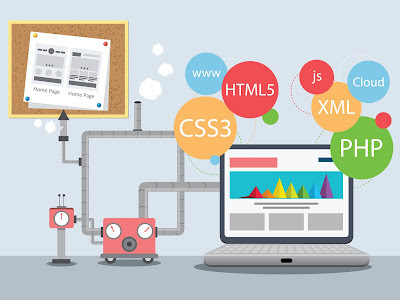 Choosing the right web development company becomes a crucial decision. Xs Infosol, a Website Development Company in Delhi,NCR has delivered successful comprehensive websites over the years. Our clients share their bitter experience with their previous IT Partners. 1. Management: The management of the web development company should completely understand your business goals with clarity. A dedicated account manager is not enough; you will need a strong management that addresses all the features a website should have to ensure the website works like a cash cow for you in the future. SEO features enabled make a website more viable for digital marketing promotions. Xs Infosol designs and develops websites keeping it at par with industry standards. 2. Team: An established web development company will house a team of graphic designers, web designers, content writers as well developers. Xs Infosol hones of a well synchronized team that is lead with a clear vision and crafts your ideas into a website that in the long run becomes your competitive advantage. 3. Client Testimonials: Client Testimonials play a very crucial role is selecting a web development company. Customer's feedback, their experience during delivery will assist you to judge whether you're on the right track or not. Xs Infosol offers cross verifying with our past customers most of whom have continued with us for their online marketing as well. 4. Responsive: You may wonder why is this important? On April 21st 2015, Google came out with its update that it shall not rank a website which is not mobile responsive. As most of phone owners have shifted to smart phones and most people now access the internet on their mobile phones; making a website which is mobile responsive becomes the duty of the business owner. Xs Infosol's empathetic approach has assisted its many clients in revamping their website into mobile responsive as well creating new websites from scratch. 5. Testing: Creating a website is one thing, making sure it's working to an optimum level is a completely another ball game. Before handing over the website it's the responsibility of the website development company to have it completely tested. Xs Infosol has an entire department dedicated for quality testing purpose only to ensure you have a fully functional website. 6. Extra Services: A website is only a skeleton without qualitative images, engaging content, requisite call to action buttons and dynamic placement of SEO enabled features. One most look out for a website development company that gives you the entire package. Xs Infosol is a SEO Company in Delhi,NCR that undertakes a wide variety of web marketing functions such as SEO, SMO, Paid Campaigns, Press Releases and Mobile Application. 7. After Sales Service: Website development is not curtailed to just designing and delivering a website. Assisting with after sales services plays an important role for decision makers as they rely on their IT Partners for this support. Xs Infosol has a long record of clients that have been assisted with decisions in regards to hosting, domain name purchases, business email id's integration and the works. Past records, a stable market standing and an established name for itself become the signature of a good website development company. We at Xs Infosol believe in building long term collaborative business partnerships which are mutually beneficial for all parties.